Nicola Mayers, the founder and owner of Sterling North, had worked in the Financial Services industry for many years. She is a qualified IFA and wanted to set up her own business, with an ambition to grow big. To do this, she needed to create a new brand name, strapline and logo that could compete with established providers of financial services. Once created, the business cards, stationery and website followed. The new brand name, logo and strapline must look and feel like an established provider of financial services. It had to appeal to everyday people looking for mortgages, pensions, life protection and investments who trust us to make their money grow. Finally, the brand personality should convey the unique combination of Nicola’s northern roots and her ability to talk about financial investments in everyday language. We ran a brand naming workshop and the Sterling North brand name is the result of the creative brainstorming process. It successfully combines Nicola’s skills as an IFA with her plain-talking northern heritage. The combination of dark navy with silver grey evokes trust, heritage, establishment and longevity. 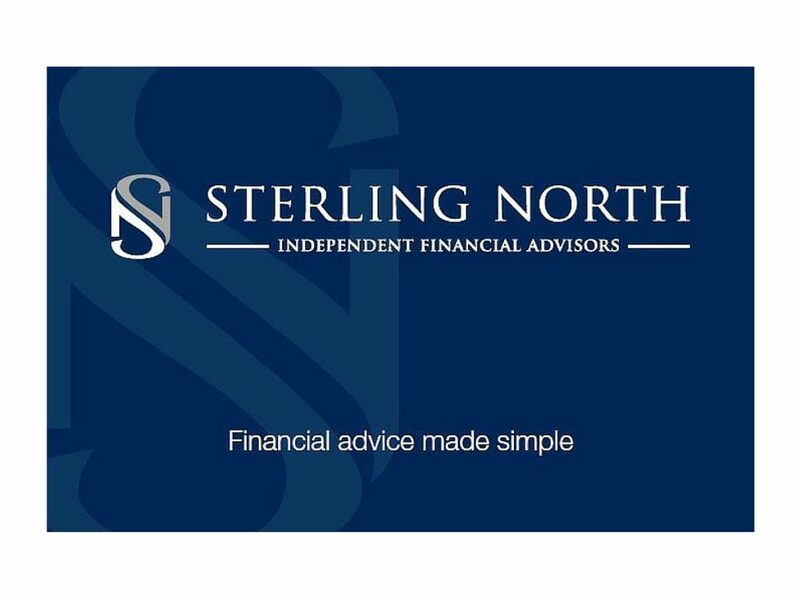 ‘Financial advice made simple’ sums up the Sterling North philosophy and their unique ability to explain financial information in plain English. It cuts through the confusion and fear that clients feel when discussing money and financial planning. The idea of fusing the ‘S’ and ‘N’ in a shield device was created by our client and we happily refined and standardised this.